Ayahuasca has been used in shaman and healing rituals for centuries, specifically in areas near the Amazon river basin, but it’s seeing a surge in popularity among “tourists” that travel to South America to seek its hallucinatory effects. But how the drug actually works is more interesting than the booming industry that surrounds it. An explainer comes from our good friends at ASAP Science (well we say friends because we love their videos, but this could be a one-way thing), who break down why a couple plants can cause some seriously emotional trips in those who use them. 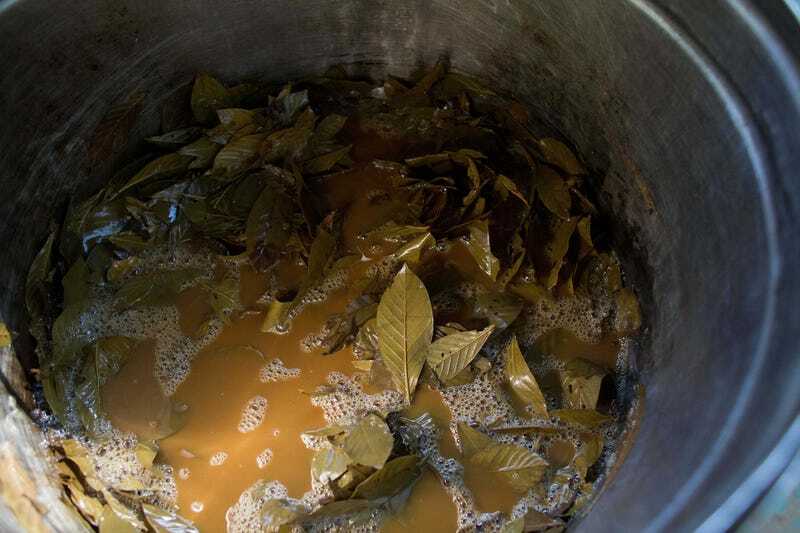 Ayahuasca is a combination of the leaves from Psychotria virdis and the stems from Banisteriopsis caapi, which don’t have any halluciogenic properties of their own. However, the leaves do contain a chemical property called N,N-Dimethyltryptamine (DMT) that can induce hallucinations if the enzymes in your stomach are stymied from breaking it down (hence the stems, which protect it. DMT is similar in structure to the neurotransmitter serotonin and the chemicals found in shrooms, and has similar effects in the human body when it’s not impeded. People who drink ayahuasca typically want to go on a spiritual and emotional journey through their thoughts, and come to terms with traumatic events. It’s also used in meditation. Therefore, according to Nature, the drug is also being studied for its uses in the treatments of psychological illnesses such as depression due to its effects. The drug is illegal in the United States, classified in the same category as marijuana and LSD. Like most drugs, it can be dangerous if taken unsupervised, with side effects such as vomiting and diarrhea. Even if you can’t access the drug, you can at least enjoy ASAP Science’s video on it, since the ways our bodies break down plants is weird.